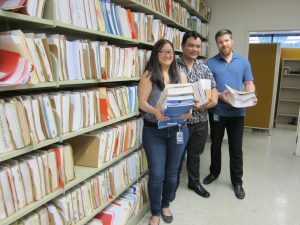 SYSTEM MAKEOVER: This “Team of the Year” in workers’ comp is dramatically cutting wait times by digitizing 20,000 paper claims a year. • Hawai‘i rated strong on fiscal management – Moody’s Analytics reported Hawai‘i is one of only 16 states with enough cash reserves to weather the “stress test” of another recession. • Savings earned for more state projects -The governor’s careful management achieved a AA+ bond rating from Standard and Poor’s, resulting in lower borrowing costs for important state construction projects such as new schools and affordable housing programs. •Antiquated systems modernized; investing in retraining people -To improve services and efficiency, the Ige administration is tackling long-overdue modernizations of the tax and payroll systems, workers’ compensation and other paper-based records while remaining committed to training the employees who will maintain these systems into the future.